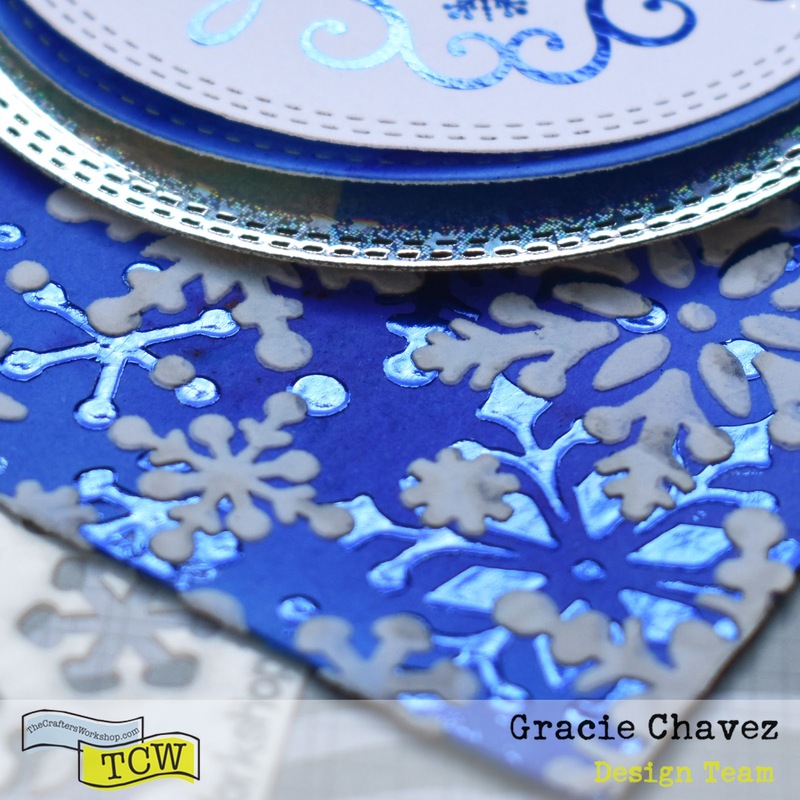 I’m back with a new idea for Christmas, with a set of stenciled snowflakes card. 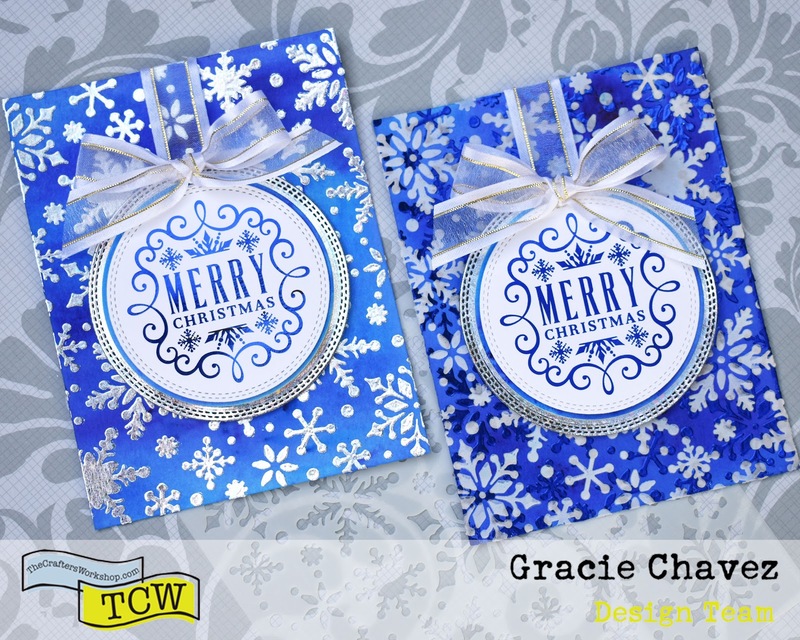 I love winter themed cards and these backgrounds turned out so nice with the blue watercolored base. I think you’ll find these cards are really easy to make. I prepared a short video to show you how I put made them. All products used were sent by The Crafter’s Workshop and Therm O Web. Nevertheless, all opinions on this post are my own. 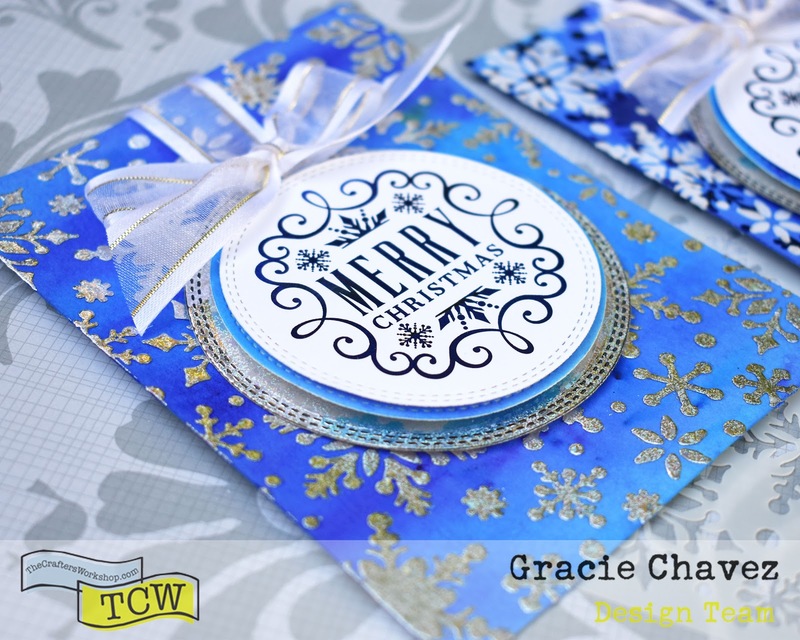 Click below to watch in just a few minutes how I put together these snowy cards! Make sure to visit The Crafter’s Workshop blog to take note of all the supplies used! I tested a couple of modeling pastes from TCW and I found that the Light & Fluffy Modeling Paste is great for layering stenciled textures. As you can see on the picture below the paste held its shape on top of the Decofoil Gel and you can’t see a ghost trace of the previous stenciled and foiled textured. Hope you love this idea and that you find it useful during this Holiday Season. For more creative ideas for all your crafts projects subscribe to the blog (on sidebar). For more project ideas using stencils make sure to follow The Crafter’s Workshop! That’s all for now. Until next time! Such a vibrant and beautiful combination! Lovely cards! 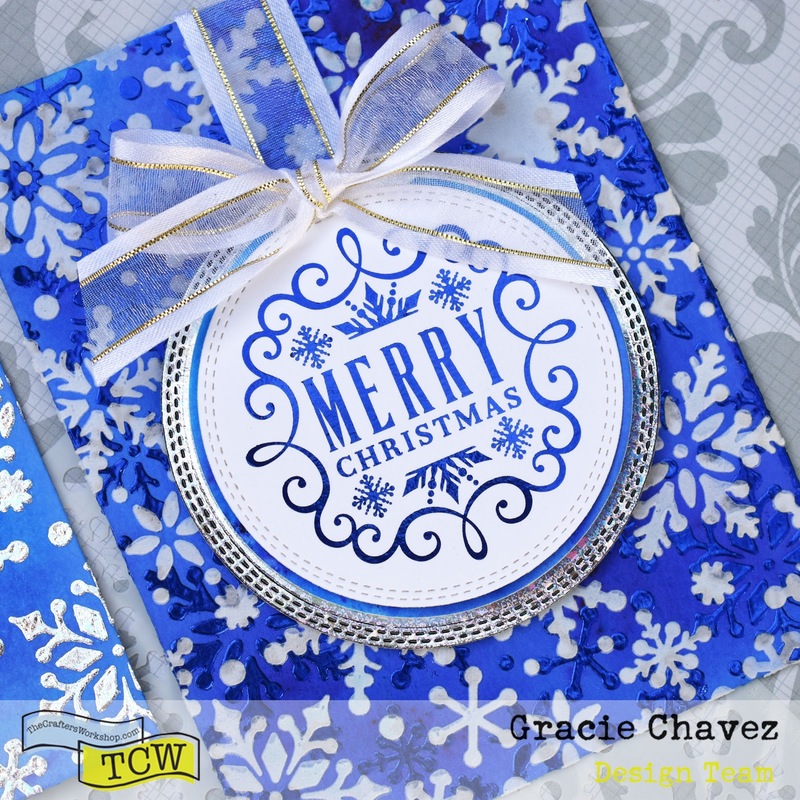 Brilliant effect between that beautiful blue and the silver embossing. The foil makes wonderful effects.